HIGHLAND HEIGHTS, Ky. — Northern Kentucky University has taken on a leading role in the region’s fight against the heroin crisis. It has hosted forums, speakers and policymakers and has had expert faculty members join in the discussion. This summer, they will offer a course in addiction studies to help prepare the next group of folks who will be soon be on the front lines of this battle. The graduate-level class, Social Work 594: Addiction in the Community, will meet biweekly, from 6-9 pm Tuesday and Thursday nights beginning July 11. The course, which will run through Aug. 13, will be taught jointly by Dr. Bonnie Hedrick and Jason Merrick and feature guest speakers who have expertise in various areas of how addiction is affecting the community. Merrick, who is in recovery himself, also heads the addiction services for the Kenton County Detention Center. He just earned his master’s in social work from NKU this May. The course is divided into five separate modules that cover the concepts of harm reduction, treatment, prevention, support and advocacy. Merrick and Dr. Hedrick, who also taught the class last summer, will supplement the live speakers with film from last year’s course when applicable. “Last summer, we had 14 or 15 students. This year, I’m hoping to reach capacity,” Merrick said. Part of Merrick’s message is that the heroin/opioid crisis reaches everyone. He said the class will cover hands-on demonstrations of how to administer naloxone, as well as how to properly dispose of possibly infected needles. But a big message that he hopes to convey is support. Guest speakers, such as Dr. Lynne Saddler of the Northern Kentucky Department, give students not only a professional perspective, but can possibly provide contacts down the road, or even spark interest in specific areas of the addiction services. This course is part of the preparation for the Health Innovation Center , scheduled to open in 2018. The idea behind the Health Innovation Center (HIC) is taking a transdisciplinary approach to wellness in order to address health problems in our region. Dr. Reed said at that time, there are plans to offer a minor in addiction sciences, which will also be cross-disciplinary. The word that recurred about the class was priority. 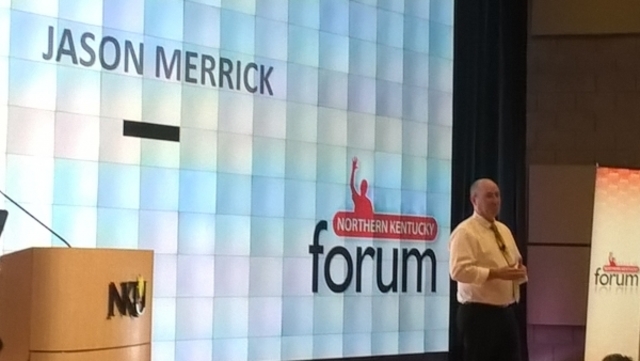 Anyone interested in more class details can enroll at nku.edu or email Merrick at merrickj1@mymail.nku.edu .